Six months of silence for father Maccalli, missionary kidnapped: "The only free person among us"
A missionary: "We do not know where Fr. 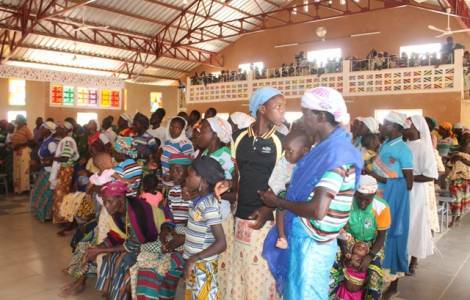 Maccalli is, we live in a climate of insecurity"
Niamey (Agenzia Fides) - "Yesterday 17 January, all the faithful communities in the diocese of Niamey, recalled the 4 months since the kidnapping of father Gigi Maccalli during the Masses. We also remembered the burning of churches and Christian temples in Zinder and Niamey, which took place on 16 and 17 January 2015, after the demonstrations of support for the killing of Charlie Ebdo journalists in France": says to Agenzia Fides Father Vito Girotto of the Society for African Missions (SMA), a missionary in Niamey.